Sandmeyer Steel Company stocks Alloy 825 nickel alloy plate in thicknesses from .1875" (4.8mm) through 2.00" (50.8mm) for corrosion resistant applications in the air pollution control, chemical and petrochemical, food processing, nuclear, offshore oil and gas production, ore processing, petroleum refining, steel pickling and waste disposal industries. Alloy 825 (UNS N08825) is an austenitic nickel-iron-chromium alloy with additions of molybdenum, copper and titanium. It was developed to provide exceptional corrosion resistance in both oxidizing and reducing environments. The alloy is resistant to chloride stress-corrosion cracking and pitting. The addition of titanium stabilizes Alloy 825 against sensitization in the as-welded condition making the alloy resistant to intergranular attack after exposure to temperatures in a range that would sensitize un-stabilized stainless steels. The fabrication of Alloy 825 is typical of nickel-base alloys, with material being readily formable and weldable by a variety of techniques. The nickel content of Alloy 825 makes it resistant to chloride stress-corrosion cracking, and combined with molybdenum and copper, provides substantially improved corrosion resistance in reducing environments when compared to conventional austenitic stainless steels. The chromium and molybdenum content of Alloy 825 provides resistance to chloride pitting, as well as resistance to a variety of oxidizing atmospheres. The addition of titanium stabilizes the alloy against sensitization in the as-welded condition. 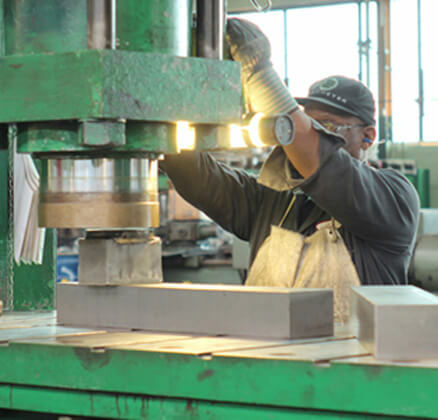 This stabilization makes Alloy 825 resistant to intergranular attack after exposure in the temperature range which would typically sensitize un-stabilized stainless steels. Alloy 825 is resistant to corrosion in a wide variety of process environments including sulfuric, sulfurous, phosphoric, nitric, hydrofluoric and organic acids and alkalis such as sodium or potassium hydroxide, and acidic chloride solutions. The fabrication of Alloy 825 is typical of nickel-base alloys, with material readily formable and weldable by a variety of techniques. Nickel 38.0 min.–46.0 max. Iron 22.0 min. Chromium 19.5 min.–23.5 max. Molybdenum 2.5 min.–3.5 max. Molybdenum 8.0 min.-10.0 max. Copper 1.5 min.–3.0 max. Titanium 0.6 min.–1.2 max. Carbon 0.05 max. Carbon 0.10 Manganese 1.00 max. Sulfur 0.03 max. Silicon 0.5 max. Alloy 825 has good mechanical properties from cryogenic to moderately high temperatures. Exposure to temperatures above 1000°F (540°C) can result in changes to the microstructure that will significantly lower ductility and impact strength. For that reason, Alloy 825 should not be utilized at temperatures where creep-rupture properties are design factors. The alloy can be strengthened substantially by cold work. Alloy 825 has good impact strength at room temperature, and retains it’s strength at cryogenic temperatures. The most outstanding attribute of Alloy 825 is its excellent corrosion resistance. In both oxidizing and reducing environments, the alloy resists general corrosion, pitting, crevice corrosion, intergranular corrosion and chloride stress-corrosion cracking. The high nickel content of Alloy 825 provides superb resistance to chloride stress-corrosion cracking. However, in the extremely severe boiling magnesium chloride test, the alloy will crack after long exposure in a percentage of samples. Alloy 825 performs much better in less severe laboratory tests. The following table summarizes the alloy's performance. Mixed – A portion of the samples tested failed in the 2000 hours of test. This is an indication of a high level of resistance. The chromium and molybdenum content of Alloy 825 provides a high level of resistance to chloride pitting. For this reason the alloy can be utilized in high chloride environments such as seawater. It can be used primarily in applications where some pitting can be tolerated. It is superior to conventional stainless steels such as 316L, however, in seawater applications Alloy 825 does not provide the same levels of resistance as SSC-6MO (UNS N08367) or Alloy 625 (UNS N06625).